﻿ Hampton Inn & Suites Chicago-North Shore/Skokie, Chicago (IL) | FROM $114 - SAVE ON AGODA! 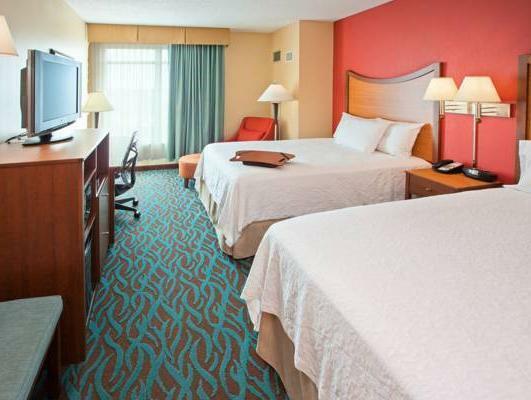 Have a question for Hampton Inn & Suites Chicago-North Shore/Skokie? 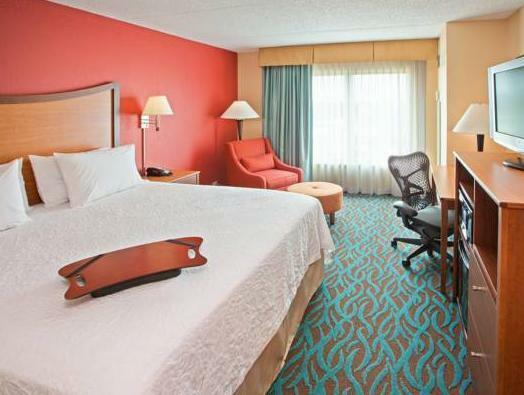 Built in 2000, Hampton Inn & Suites Chicago-North Shore/Skokie is a distinct addition to the city's skyline. The hotel is 19km from the city center, and it normally takes about 20 minutes to reach the airport. A well-kempt environment and its proximity to Dempster-Skokie Railway Station, Westfield Old Orchard, and Evanston Ecology Center give to this hotel a special charm. Hilton Worldwide is renowned for its quality services and friendly staff, and this property lives up to expectations. 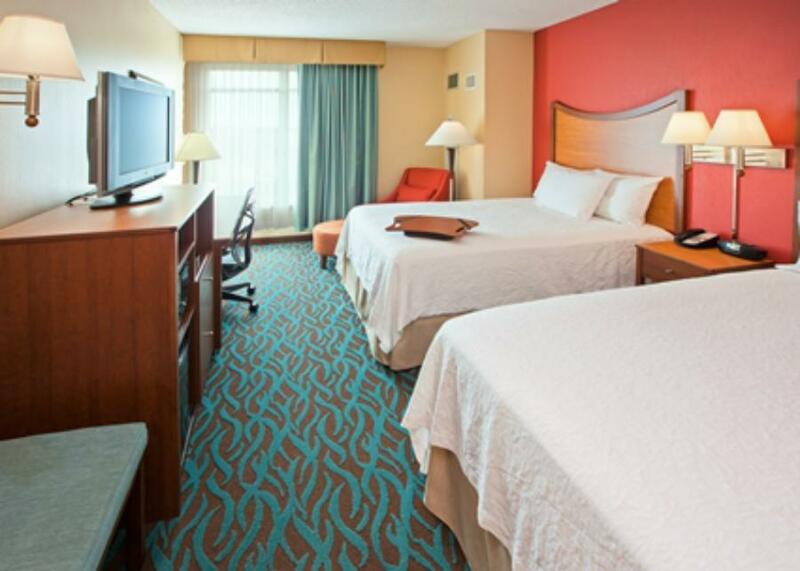 Guests of the hotel can enjoy on-site features like laundry service/dry cleaning, safety deposit boxes, a business center, shops, and disabled facilities. All guest accommodations feature thoughtful amenities to ensure an unparalleled sense of comfort. The hotel's gym and outdoor pool are ideal places to relax and unwind after a busy day. 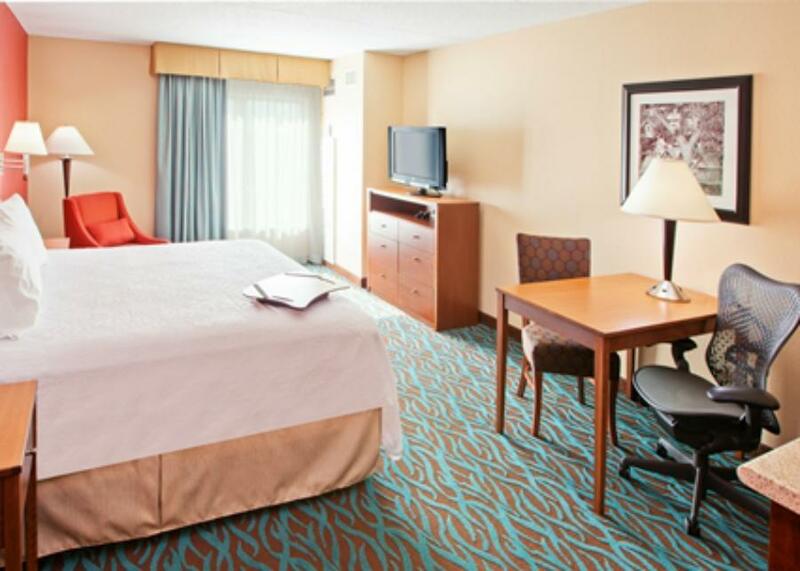 With an ideal location and facilities to match, Hampton Inn & Suites Chicago-North Shore/Skokie hits the spot in many ways. ADA room with roll in shower was perfect. The staff was outstanding. Very friendly. In twelve days of stay, breakfast with meat was served three times, the third offering consisted of very pale pan sausage that everyone passed on. Housekeeping wasn't the best when it came to restocking towels and tissue. All in all wasn't the worst traveling experience, but has room for much needed improvement . It's not bad for a single night stay but a little expensive to stay over 2 days. Clean, friendly, large, seems very clean and nice. I really enjoyed it. Very clean and nice, high end products available. Mouth wash was nice to have and we forgot our toothbrushes and hand some for us - great service! Very nice hotel. Ruby Tuesday is just at the hotel. And the hotel is very close to the big shopping area--Westfield shopping mall, which includes several big department stores, like Macys, Nordstrom,Bloomingdale etc and oher hundres stores, resturant, theaters and book store etc. great location for business travel. good restaurant, helpful staff. clean and comfortable rooms. i would definitely stay here again and would recommend to a friend. the area does not have much in the way of tourist attractions so i would say more suitable for business travel. the hotel smelled clean from the moment you walked in the front door. pleasant front desk personnel. room tastefully decorated. liked the feature that the duvets and inserts are cleaned for each new guest. great hot breakfast but if in a hurry, there were breafast bags "to go." i am a hampton inn customer to life! Da in Skokie alles etwas weitläufig ist, ist ein Mietwagen von Vorteil (leider gibt es keinen Hoteleigenen Shuttle-Service zur Zeit). Eine Shopping-Mall und Restaurants sind gut erreichbar. (Es empfiehlt sich ein Taxi oder den Mietwagen zu nehmen auch wenn die Mall nich all zu weit entfernt ist.) Leider ist zur Zeit dem Hotel kein Restaurant angeschlossen. (Die Zimmer sind alle mit Kühlschrank und Mikrowelle ausgestattet.) Das Personal ist wirklich freundlich und zuvorkommend! Alles in allem ein gutes Hotel.